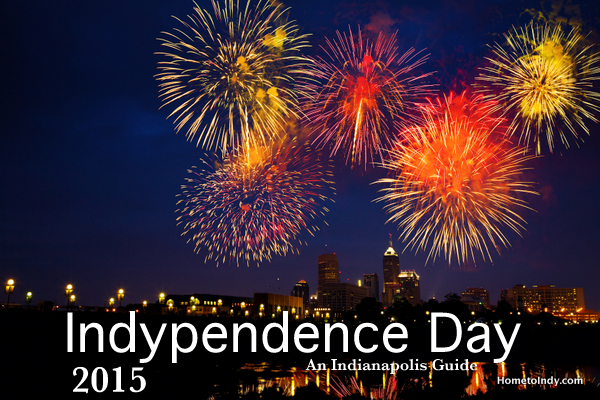 Indianapolis is home to a warm and festive 4th of July celebration. A great treat for everyone is the spectacular fireworks display in Downtown Indianapolis which can be seen from all around the city. However, the celebrations don’t stop there. During Independence Day, the streets of Indianapolis come alive with concerts, festivals and of course, plenty of food and drinks for everyone. Almost every single space in the city is occupied with events where you can sit back, relax and enjoy day. So whether you’re looking for a relaxed picnic on the lawn or ready for an all-day music concert you can rock to, Indianapolis has events for everyone. Here are some of the best events you can go to while in the city. If you’re looking for a relaxing night out in one of Indianapolis’ most up-and-coming historic areas, the July 4th celebration at beautiful Fountain Square will be a great place to spend the entire day. The happenings start at 1PM with 11 bands of all genres playing through the day. There’s plenty of food and drinks served up by Indianapolis favorites such as New Day Meadery, Calvin Fletcher’s Coffee Co, and Fountain Square Brewery as well as plenty of booths from local Indy businesses. The day is completed with a one of the best seats in town to watch the mesmerizing Indianapolis Downtown Fireworks Display. While you’re in Fountain Square, you may also want to check out the Annual Rooftop 4th of July Celebration. It’s a dinner on the End of The Line garden rooftop - bound to be the best seat in the city for the show. A great way to spend your 4th of July is to go to a concert for a cause. Located on Georgia St downtown, The INDYpendence: Concert for Cancer is a benefit concert that was started by Scott Lintner who celebrates American Independence while raising funds and awareness for cancer. The concert promises a day full of food, drinks and plenty of music. The concert begins at 1PM with a number of bands playing through into the night. General admission tickets are at $20 while concert pit tickets are at $50. Proceeds from the concert will go to the Leukemia and Lymphoma Society and the St. Francis Patient Assistant Fund. In 2013, the event was able to raise over $50,000. If you want to liven things up and look for a change of pace from the usual 4th of July celebrations, the Firecracker 6, a six mile run/walk is a great way to kick off your day. The race takes participants around the city. The event ends with a post-race celebration at City Market Whistler Plaza which is complete with free barbeque for all participants, drinks and live music. The event is in benefit of the Hoosiers Helping Heroes which provides soldiers deployed in other countries by providing them with a sense of community through provision of care packages. And if you won’t be heading downtown but are wondering about events and start times for the suburban areas, here is a full list of all of Indiana’s firework event schedules for a real firecracker of a fourth!